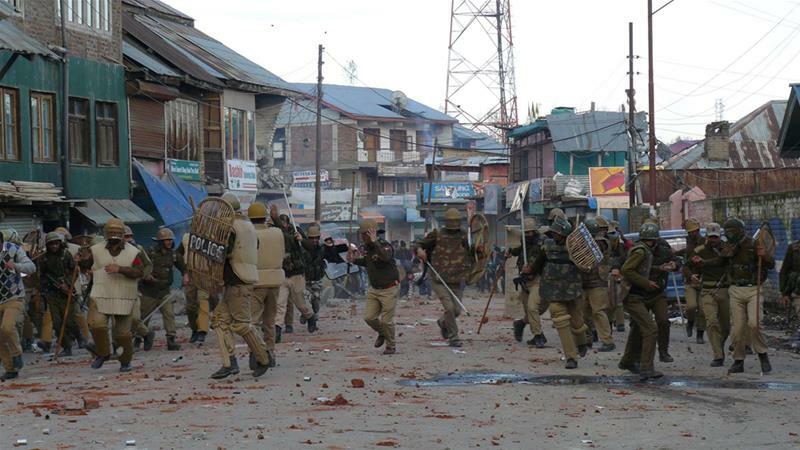 Truth by Kbaig: Prolonged Series of Violence in Indian Occupied Kashmir! Prolonged Series of Violence in Indian Occupied Kashmir! On 1st August 2017, in the area of Hakripura, District Pulwama of Indian Occupied Kashmir (IOK) first of all InPulwamamy besieged two houses and later on blew it up with the dynamite. When Indian army was besieging the two houses, the undeclared curfew was imposed limiting the inhabitants of the area to their houses. Those who were out of their houses on jobs etc. were stopped out of the locality. Landline Telephone, Mobile Phones and Internet services were suspended. Dynamite was fixed in both the houses after digging holes in the walls of the house and blasted. 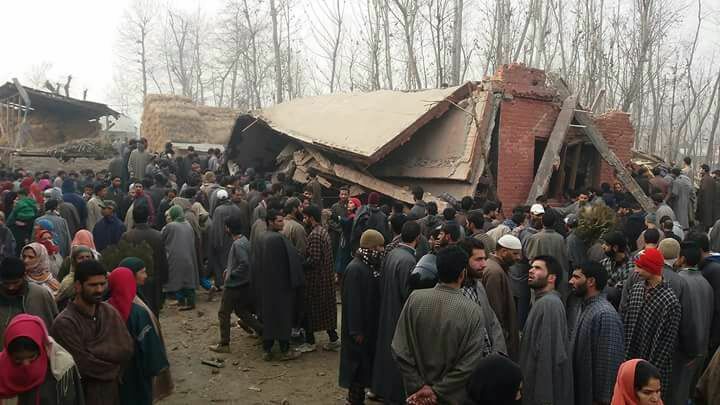 Indian soldiers started searching for the dead bodies in the rubble which took 8-9 hours. In the meanwhile people living in the areas adjacent to the Hakripura came to the roads to protest against the Indian army as they realized that whatever Indian army is going to do will result in great loss of innocent lives. In order to control the protests, state police and army present in the area started violently beating the unarmed protesters and damaged vehicles and bikes parked around as well. The glasses of the cars were broken by the butts and bricks. Even this could not satisfy Indian state terrorists; they started throwing bricks and stones at the children and women standing in the windows and balconies of their houses injuring many children and women. 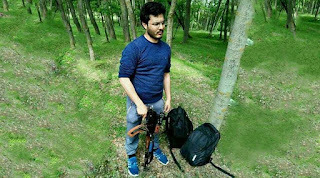 On the other hand after searching the rubble of the destroyed houses Indian state terrorists claimed that including Abu Dujana a Kashmiri Mujahid, three other Kashmiri youngsters have been killed in the blasts which were required by the Indian army for being involved in various attacks. This was termed by Indian media as a big achievement, however, not a single Indian journalist dared to say that only these three people were present in the destroyed houses? Were both these houses abandoned? Was there no one living except these three Mujahids? Next day inhabitants of Hakripura told that two families were living in these destroyed houses, including women and children, whose dead bodies have not been found. There is a message from District Pulwama that Abu Dujana has been already under the custody of the Indian army and the drama of killing him in the encounter by blasting two inhabited houses with dynamite was staged in order to procure appreciation, award, and appraisals. This is not the first incident that a Kashmiri has been arrested and killed extra-judicially in spite of presenting him before the court. 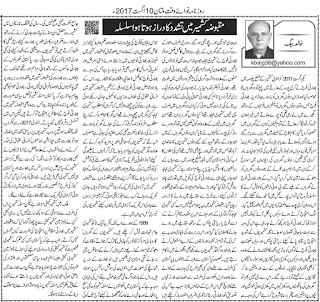 The basic reason for these extra judicial killings is that on the one hand despite all inhumanly tortures Indians fail to get anything from arrested Kashmiris especially their links with Pakistan while on the other hand Indian state terrorists murder Kashmiris extra-judicially in order to get out of turn promotions and awards by the Hindu govt. which has been verified by various retired Indian army officers. They consider such increasing incidents a poison for the discipline and professionalism of Army. 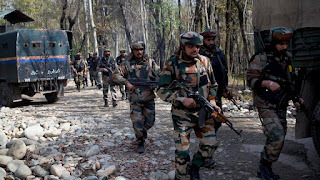 Moreover, this has been realized that this is the cause of the increasing psychological problems and illnesses which are being suffered by the whole Indian army. 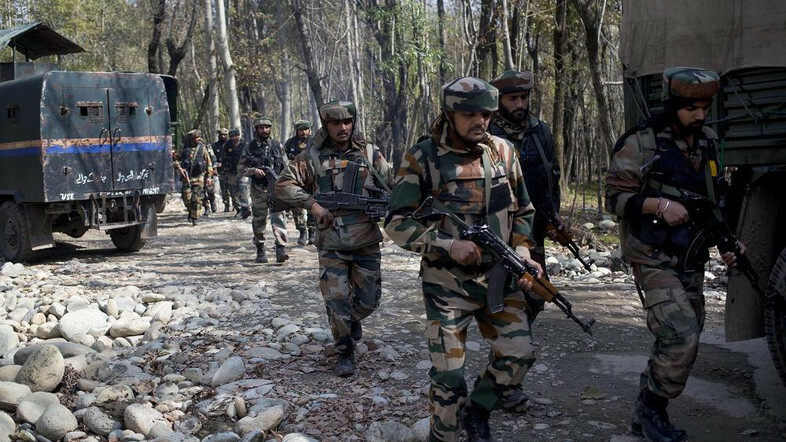 Despite all this, Indian army is continually committing atrocities in IOK on the orders of New Delhi. There is no one to question them that if their wanted persons were hiding in the suspected houses why did not they besiege the house and attempt to arrest the wanted persons alive? Why did they destroy the houses with dynamite? Just in order to weaken Kashmiris economically and give them a message that if they tried to raise voice against Hindu terrorism they will be killed along with their families in their own houses? Is this not the State Terrorism? Where is UNO? Where are the Organizations misappropriating funds in the name of Human Rights? Why Civilized West is Dumb and Deaf because they have interests with India or are they themselves practicing such inhumanity? If through such atrocities and extra-judicial mass murders it was possible to crush the Kashmiri Freedom Movement, then India would have succeeded a long ago. This Freedom Movement from last 70 years is being successfully carried ahead by the third generation of the Kashmiri people. Since 1989, more than 100 thousand Kashmiri have been martyred. Putting the houses, businesses, shops on fire by sprinkling petrol on them, destroying their houses by dynamite etc. have been recorded in various documentaries which are present on the social media. If despite such evidence of mass murder and state terrorism, International community is silent, the basic reason is that Pakistani governments have never adopted a well-established strategy to raise the Kashmir issue at the international level. Besides celebrating the different days about Kashmiris on different days and giving verbal statements when our rulers show the gestures for friendly relations with India (for their personal businesses) all the statements showing solidarity with Kashmiris are negated. The personal relations with Indian rulers of our politicians, the exchange of gifts with Indian rulers not only encourages Indians to continue the state terrorism and barbarism in IOK but Indian public also gets the message that Pakistan wants to keep the Kashmir dispute alive as its political need that is why Pakistani politicians verbally protest against Indian state terrorism in IOK but do not take it to the required levels. 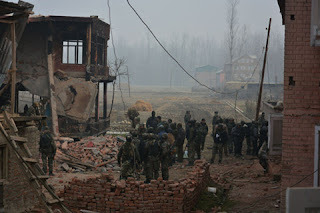 Since January 2017, whenever, state violations of basic human rights in IOK have crossed certain limits, opposition parties of India, intellectuals having regard to basic human rights and even some retired Indian Generals have emphasized that India should get out of its dream of “Atut Ang” of Kashmir and solve the dispute politically and democratically in which not only India and Pakistan but Kashmiris are a party as well. They try to realize New Delhi that if she continued her state terrorism and closed eyes on the increasing power of Freedom Movement in IOK, one day this freedom movement will result in the disintegration of India. We have a Kashmir Committee but we have never heard a single word from it about Kashmir. No one ever felt the need to question the Chairman of Kashmir Committee that why he has never felt any need to protest against the Indian state terrorism in IOK. The painful reality is that in spite of giving the important designation of Chairman of Kashmir Committee to some active Kashmiri worker it is left for the political needs and remaining in power. But the time has come when we will have to present our stance over Kashmir in more responsible manners in order to tackle the increasing Indian state terrorism in IOK.